Living amongst the red sand dunes of the Kgalagadi Transfrontier Park are two of the planet’s oldest communities known as the Mier and ‡Khomani San. They are some of the last remaining original people of South Africa’s Kalahari Desert. Historically living as hunter-gatherers, these communities are expert trackers and are known for their ancient and deep understanding of maintaining a balanced approach when living off the land. 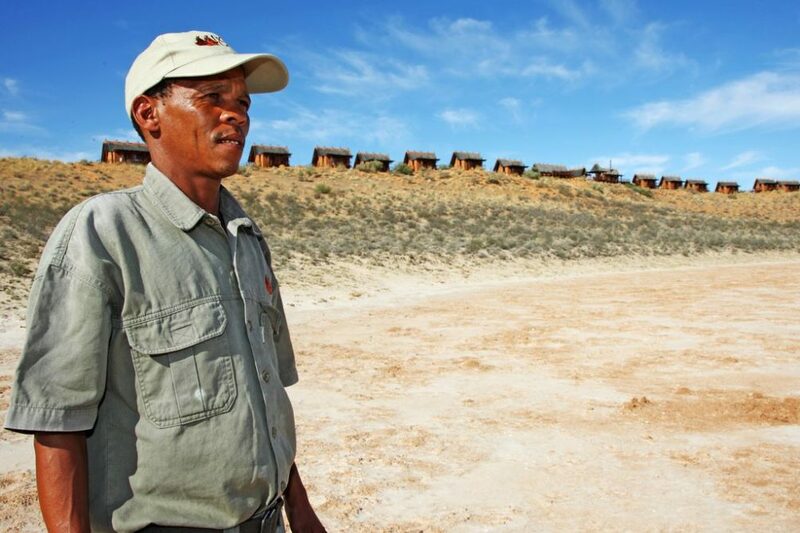 The South African National Parks (SANParks) wildlife capture team recently delivered 13 ostriches, 14 eland and five giraffe to the !Khomani San’s Erin Game Ranch, south of Kgalagadi Transfrontier Park.